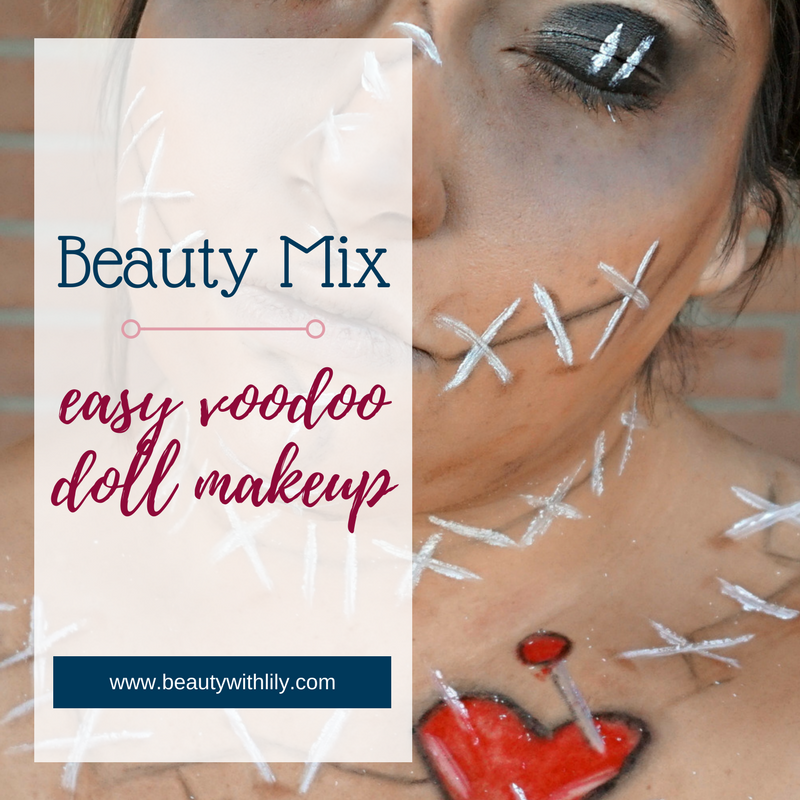 Need a quick Halloween makeup look? 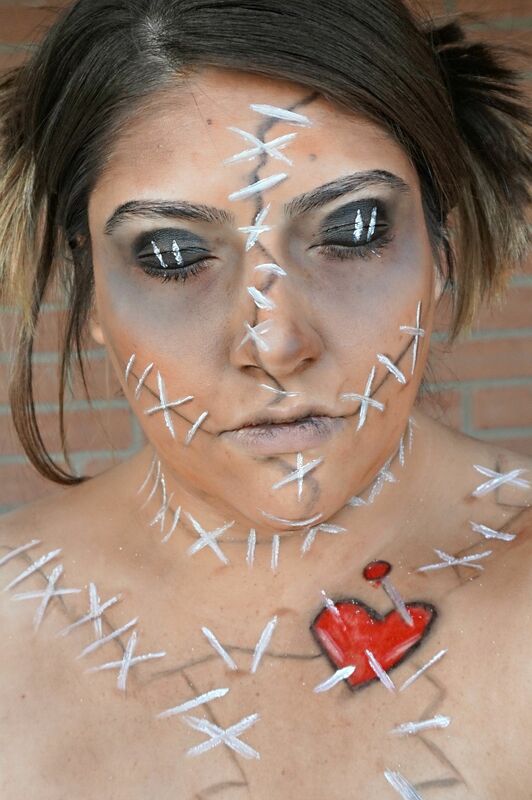 This easy voodoo doll Halloween makeup look might be the perfect choice. 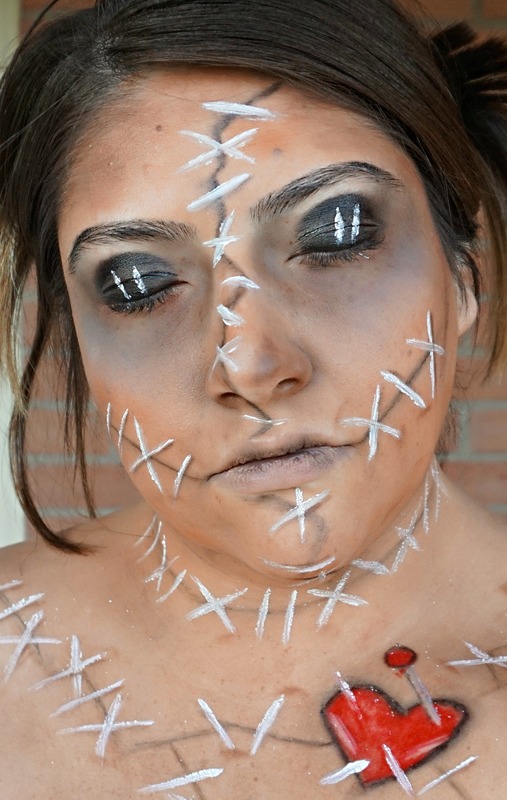 You guys, this is my very first Halloween makeup look and I’m a bit nervous about it. 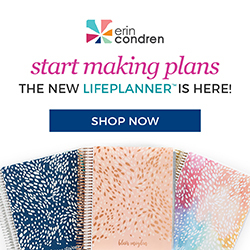 It’s definitely not on a professional look guys — but it takes practice and tons of patience. Now, I can’t take credit for this look, I drew a ton of my inspiration from Taylor from Blonde & Ambitious. 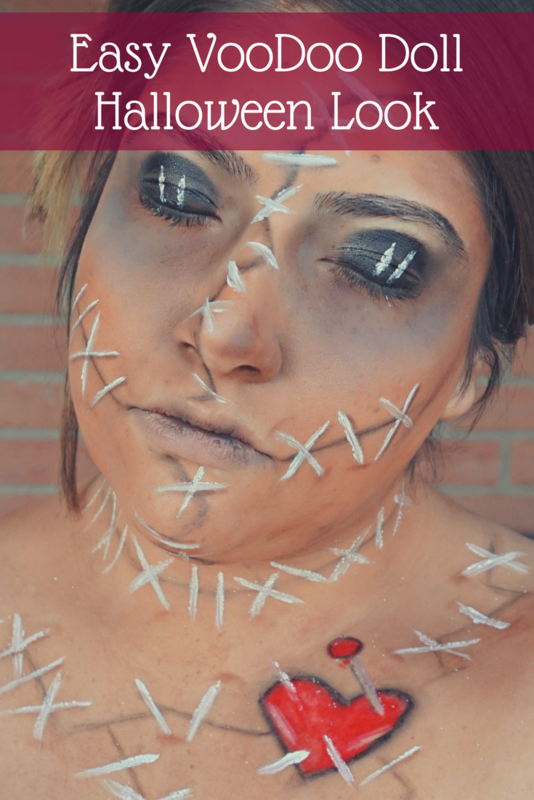 She filmed a VooDoo Doll Halloween look and she totally nailed it. 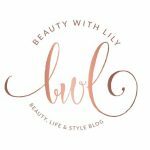 Definitely check her out, she has TONS of Halloween looks up right now. 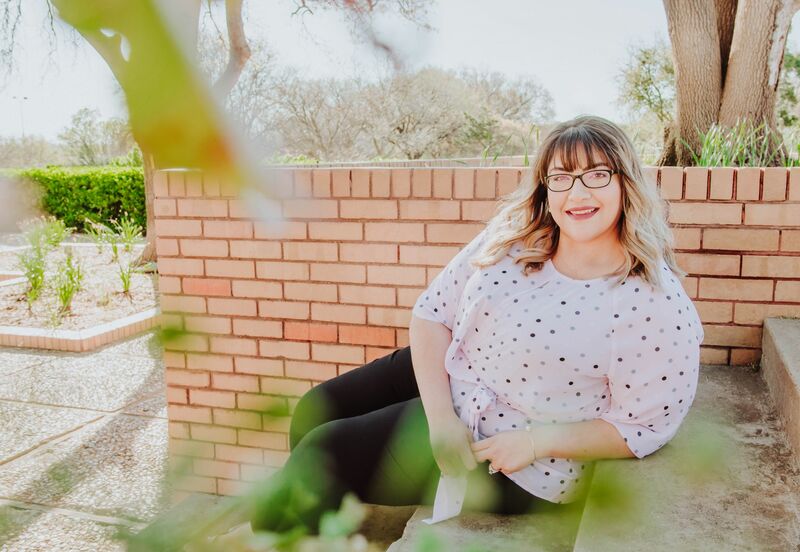 For this look, I started by using a foundation that was darker than my shade (I could have gone darker but didn’t have anything on hand.) But instead of applying it evenly, I stippled onto the skin in a pretty messy way. I also went in with an orange and brown eyeshadow with a textured sponge and messily applied that all over my face and neck area. Using a darker, purple toned brown I went in to the areas of my face that I wanted to “contour” in a sense, also very messily. With a light, taupe brown shade, I drew in the lines, shaded them, went in with a darker brown, did more shading and added some black. It takes a lot of patience and blending. The white I used to draw in the stitches was so crappy! I definitely recommend at least buying a decent white cream paint if you do something like this. I recommend having plenty of pictures to go off of and perhaps a few videos as well. It took me maybe an hour and a half to do this — mainly because of the difficult paint I was working with. 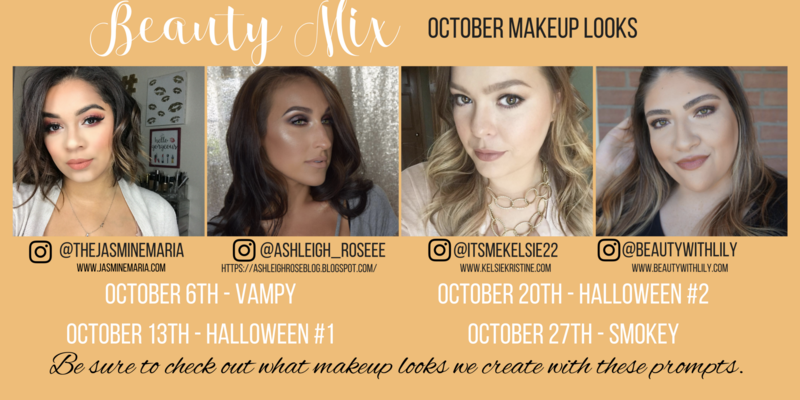 Don’t forget to visit the other ladies vampy makeup looks — you can find Jasmine’s look here, Kelsie’s look here, and Ashleigh’s look here. Are you a fan of Halloween? What are you dressing up as?